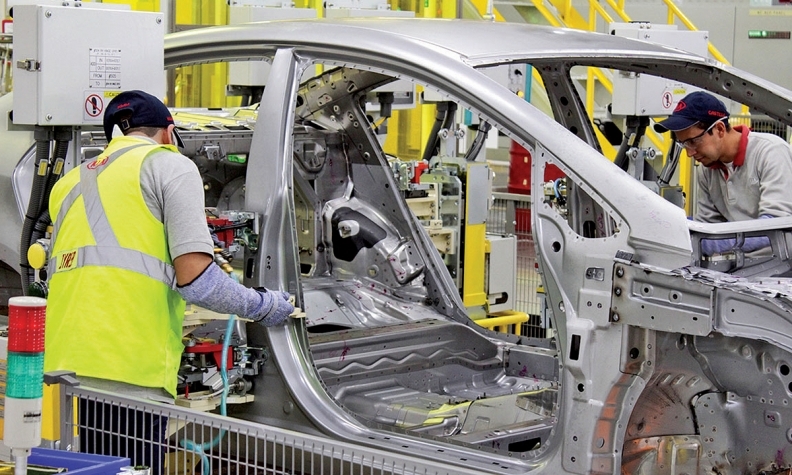 Between 1994 and 2013, auto factory jobs in Mexico rose almost five-fold as lower-wage production boomed. Editor's Note: Ian Lee is an associate professor and former MBA director at the Sprott School of Business. The North American Free Trade Agreement could be replaced by a bilateral pact between only Canada and the U.S. under the presidency of Donald Trump, two CIBC economists told their clients immediately after the election. During his campaign, Trump continually promised to “terminate” NAFTA, calling it the worst trade deal in the history of the United States. He blamed the 22-year-old pact for “gutting” America’s auto industry. In Canada, Unifor, the union that represents 23,500 auto workers in Ontario alone, also blames NAFTA for massive job loss in the auto sector. Now, Avery Shenfeld and Royce Mendes, two economists at Canada's fifth largest bank, say an agreement exclusive to Canada and the United States could change that, if Washington and the American people were willing. “Mr. Trump’s concerns about globalization are mostly focused on low-cost producers like China and Mexico, but tearing up NAFTA would leave Canada in a vulnerable position,” the economists at Canada's fi wrote. Ian Lee, associate professor at the Sprott School of Business at Carleton University in Ottawa said “there’s a possibility” Canada and the U.S. could strike a deal under Trump. That’s because Canadian politicians haven’t done enough to make Washington realize how important Canada is and how little of a threat it presents, Lee said. “We can set the groundwork for an agreement, sort of shaped like the original free trade agreement with the U.S. in 1988,” Lee said. Prior to the 1988 free trade deal and the signing of NAFTA in 1994, Canada also benefited from the Auto Pact, which was signed in 1965. The NAFTA deal eventually suppressed the Auto Pact, which was officially abolished in 2001 after the World Trade Organization declared it illegal. So far, no government officials on either side of the border have publicly called for any new bilateral agreement between Canada and the United States. However, Canada’s Ambassador in Washington said NAFTA could be reopened. "We're ready to come to the table," David MacNaughton told the Canadian Press on a conference call Wednesday. He said that while Canada believes the deal has benefited all three countries, "everything can be improved,” the news agency said. He said that while Canada believes the deal has benefited all three countries, "everything can be improved," the Canadian Press reported. Flavio Volpe, head of the Canadian Automotive Parts Manufacturers’ Association, told Automotive News Canada that, at the very least, a revised version NAFTA could provide benefits for Ontario. However, the province would need help from Rust Belt states like Michigan, Ohio, Indiana and Pennsylvania, all of which voted for Trump. For example, 30 per cent of the parts used at the more than 10 auto assembly plants in Michigan come from Ontario, Volpe estimates. In an effort to expedite trade, a new Cnd $3-billion bridge is planned to connect Windsor, Ont., with Detroit. It’s slated to open in 2020, although it’s behind schedule. Right now, a quarter of Canada-U.S. trade travels between the two cities across the aging Ambassador Bridge. Lee called Mexico a “two-for,” which is the source of illegal immigration and a country viewed to be taking U.S. jobs. Unifor President Jerry Dias said the industry has lost 50,000 direct auto jobs since 2000. He said it’s a direct result of NAFTA.